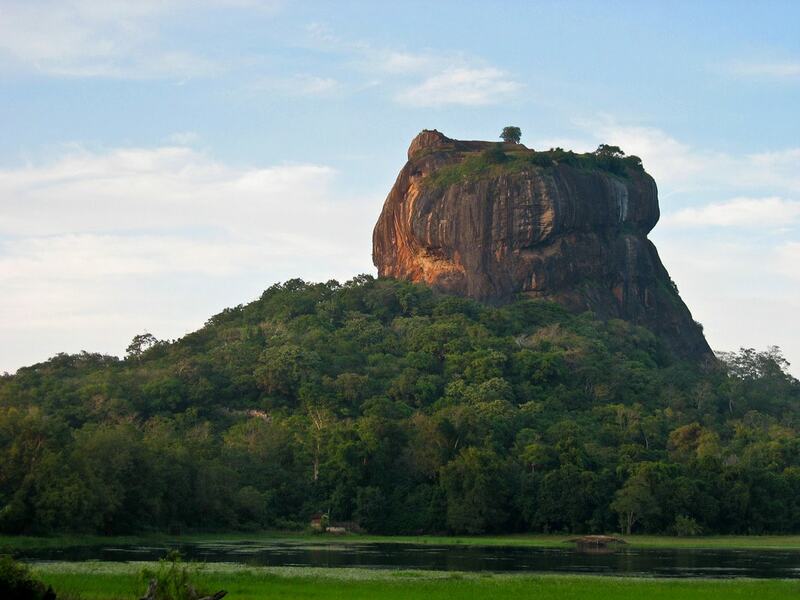 Sigiriya is a natural rocky plateau in the Central Region of the island. The actual rock is a natural formation from the leftover magma of an extinct volcano, but the rock has been used for many things through the centuries. There was a palace at the top of the rock and there are fountains and gardens around the base. Huge lions’ feet were carved on the side of the rock to mark the entrance of the walkway to the palace. One of the walls is graced with protected fresco paintings and another wall was polished to such an extent that it used to mirror your reflection. 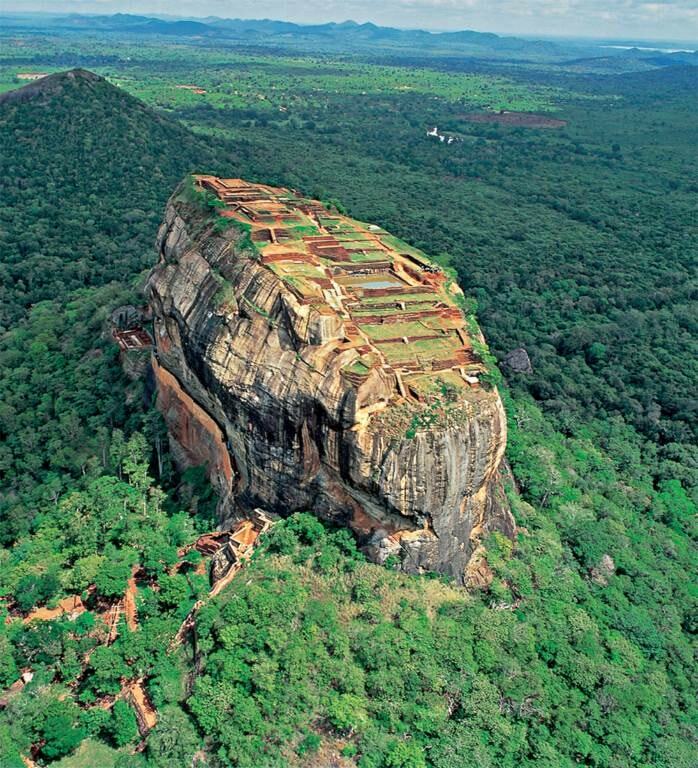 Sigiriya is the most visited historical site in Sri Lanka, while also being the most amazing natural formation on the island. Also in the center of the island is the hill country, where most of the tea plantations are. The rolling hills spread for miles and miles and the weather is cooler than the coast. The mountains are spotted with lakes, waterfalls and tea factories that can be visited either after a hike or on a four-by-four. The best way to visit the hill country is by train since the tracks cross the mountains inside forests and through the fog. The beaches in Sri Lanka are a must-visit for those who come to the island. There is a beach for everyone, from tranquil coasts to surfer waves, the coast is a favored destination. It is not surprising, since the palm trees and pale sand are close to paradise! Some famous beaches are Bentota, Mirissa and Tangalle. The clear waters of Hikkaduwa are a great place to go snorkeling and see the reef and fishes that live there. 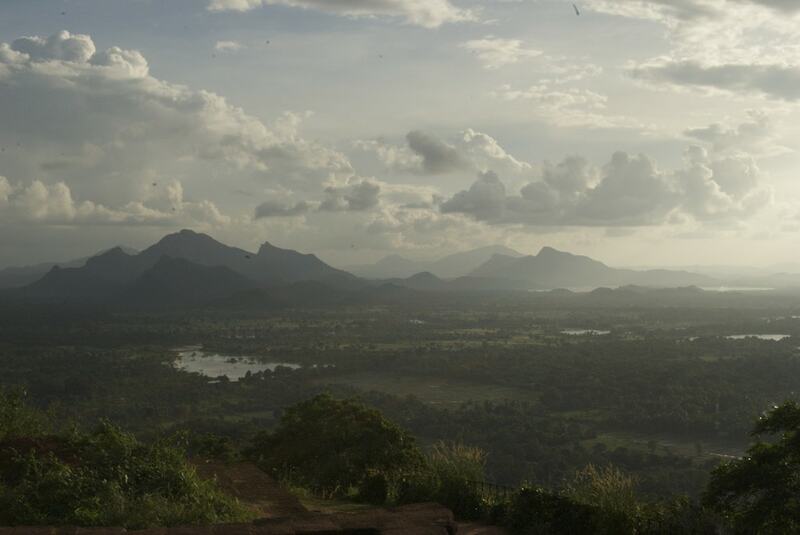 There are many national parks and reserves in Sri Lanka. The wildlife is abundant and there are numerous leopards, elephants and peacocks. The best way to experience Sri Lanka wildlife is to visit the national parks and go on safari. There are possibilities to camp or to stay at an eco lodge or just a simple hotel while exploring the landscapes and spotting the animals that live there. The coast is home to dolphins and whales at particular times of the year and can be seen from boats that go out specially to see these beautiful sea creatures. Along the coast you will also find the fishermen on stilts, a practice unique to Sri Lanka.